Rhubarb isn’t just good for baking in pies — turns out the natural molecules found in the plant are being used as the basis for a new type of battery for the power grid, developed by a group of Professors at Harvard. The Harvard researchers and engineers set out to build a low cost, metal-free flow battery, which is a type of battery that uses separate liquid tanks to store energy. In contrast, the batteries in your laptop and cell phone (and even in an electric car), use chemicals that are adjacent and enclosed in a casing. But by separating the electrolyte out of the battery, flow batteries can easily scale up and down (using larger and smaller tanks) to deliver the capacity needed, and can thus be lower cost than traditional batteries. Because they can be inexpensive, power grid operators and utilities are looking at flow batteries carefully as a way to act as energy storage option on the power grid next to a wind or solar farm. These clean power sites generate energy only at certain times of day, and adding energy storage to clean power can make it more effective and economical. 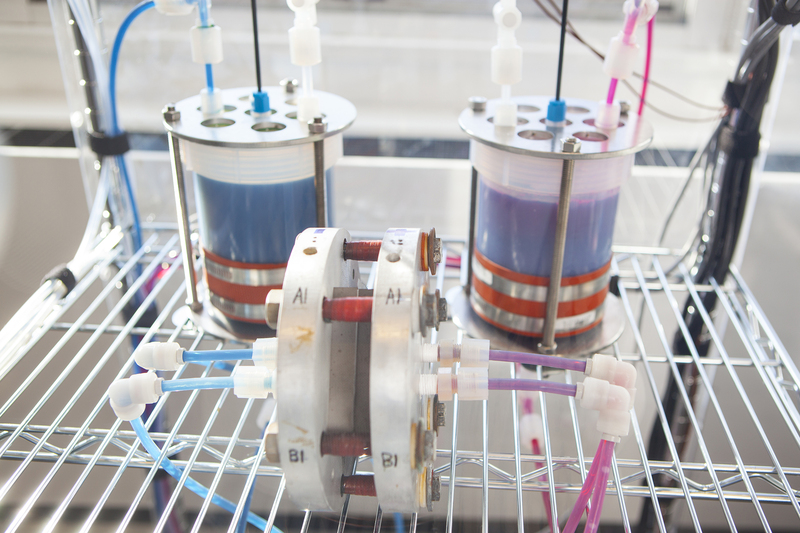 Typical flow batteries use metal liquids like vanadium; or some next-gen ones, like startup EnerVault, are using metals like iron and chromium. 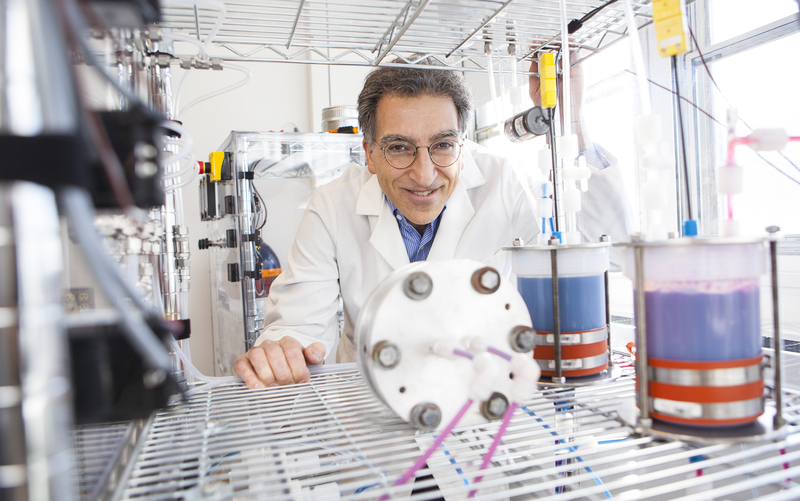 The breakthrough with the Harvard researchers is that they’re using non-metal natural substances for the flow battery. For the first iteration of the flow battery the researchers decided to turn to naturally-occurring organic molecules found in plants, animals and even oil called quinones. The best fit for the battery medium they wanted turned out to be the same quinones found in rhubarb. Go figure. The Harvard team discovered the right quinone molecule (out of more than 10,000) using a computing and sophisticated algorithms. Other universities are using computer models to find all sorts of battery breakthroughs. So far the battery is working as well as the vanadium flow batteries on the market, but it’s much less expensive. The battery is still in the development phase, so a lot of things can change between now and commercialization. A release from Harvard noted that an application somewhere in the future could even be used at a home (say, in a basement), connected to a solar panel roof project. The battery technology was first published in Nature on Wednesday, and the team received funding from the Department of Energy’s ARPA-E program, which gives small grants to early stage, high risk, research. The Harvard group plans to start commercializing the battery down the road with project developer Sustainable Innovations. Were any data from WCG/Harvard Clean Energy Project used to help lead researchers to their discoveries?